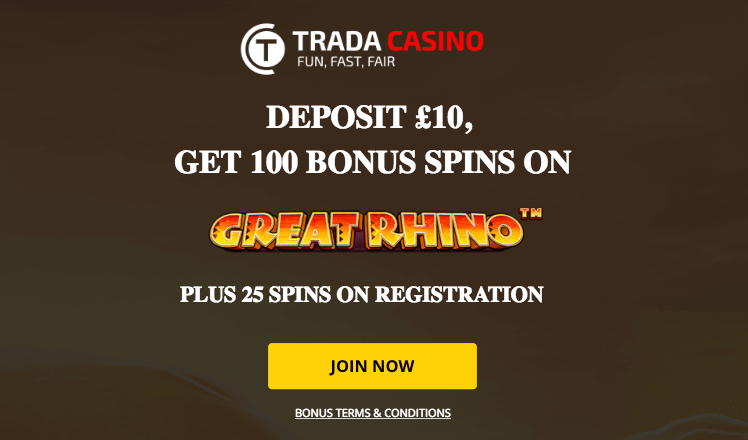 Begin your gaming journey at Trada Casino and get to play the best slots in the industry. British beginners that join are welcomed in style with this amazing deal. Follow the onscreen instructions to access your bonus. Upon registration, you’ll receive 25 no deposit free spins to have fun with without making any payment. After you make a qualifying deposit, you will be delighted with 100 bonus spins. 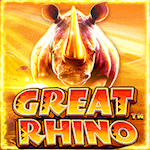 All the extra rounds are valid only on Great Rhino. There is a maximum bet of £4 per spin but if you deposit with Skrill or Neteller, the maximum bet per spin is £2. You have to wager the winnings from the no deposit bonus 40 times and the winnings from the deposit spins 20 times. You can’t cash out from the registration bonus more than £10.